Taiwan’s Tung Ho Steel has invested a total of VND4.22 trillion ($183 million) in a plant in southern Vietnam as it seeks to take on local players. The plant, which has been operating since 2008 in Ba Ria – Vung Tau Province, has an annual capacity of 1 million tons of steel billets and 600,000 tons of hot-rolled steel. Tung Ho chairman, Huang Bing Hua, said the company chose Vietnam because the market had seen a compounded annual growth rate of 20 percent in the 2014-17 period. But there are signs of supply exceeding demand and some steel products are being slapped anti-dumping steel in other countries, he told VnExpress. What foreign companies have to deal with in Vietnam is competition with traditional brands, he said. To achieve competitive pricing, Tung Ho has invested in advanced technologies to reduce 75 percent of energy consumption and carbon dioxide emissions, he added. The company projects revenues to mainly come from exports initially and does not expect domestic sales to catch up for a long time. Vietnamese steel firms sold 21.7 million tons of steel last year, up 20.9 percent from 2017, in which 4.7 million tons were exported, up 26.6 percent, according to the Vietnam Steel Association. 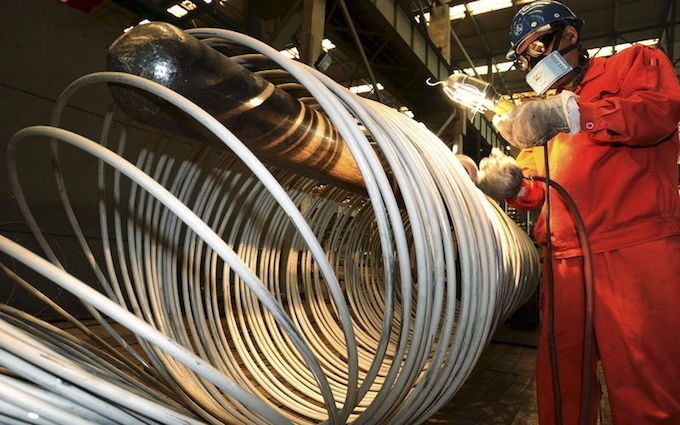 Phu Hung Securities Corporation said in a note that the steel industry might see slower growth this year due to risks from the U.S.-China trade war and a fall in demand due to fears of slower global economic growth.